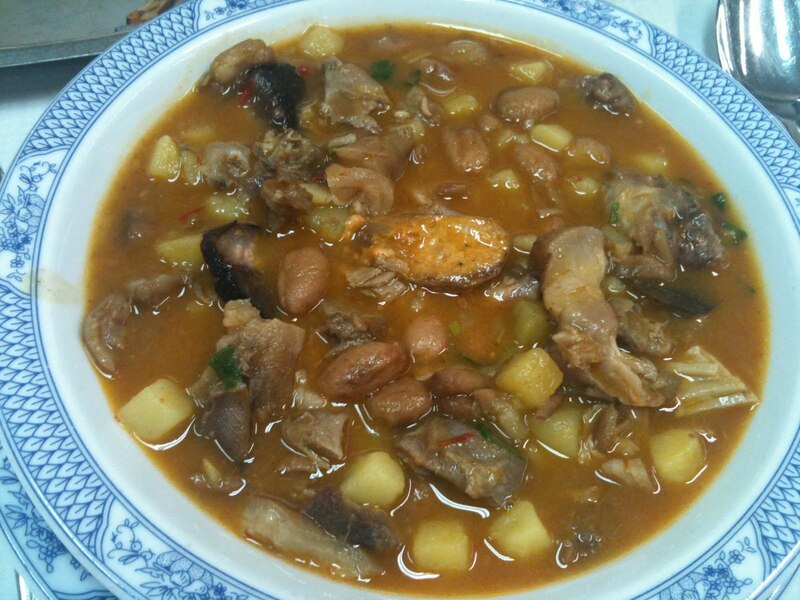 Sopa de pedra (means "stone soup" in Portuguese) is one of the Portugal's richest soup with lots of ingredients, such as beans, pork, black pudding, spicy sausage, lard and potatoes. Its origin has an interesting legend associated. In the ancient times, a hungry friar was begging for alms knocked at the door of an Almeirim farm labourer's house. When the labourer opened the door, the frier picked up a stone and asked him to lend him a pot and some water, so that he could make a stone soup. Incredulous, the labourer agreed. As the water boiled, the friar told the labourer that the soup would improve greatly, if he gave him some lard. The labourer agreed and provided it. Tasting the soup again and again, he asked the labourer for some salt, cabbage, smoked sausage and more, which he provided as he was very curious about the result. This way, the friar got all he needed to make a great soup. When he had eaten it, only the stone remained at the bottom of the pot. Questioned by the labourer over what he would do with the stone, the friar replied that he would wash it and take it with him for use the next time he was hungry. This soup was among the 21 Wonders of Portuguese Gastronomy in 2011. 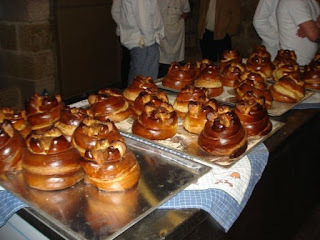 In deliciouslyportugal.com you can find a description in English of the top portuguese food, as well as the places and restaurants in Portugal where you can taste the time of your life. Deliciously Portugal - Portugal. Food. Yumi.